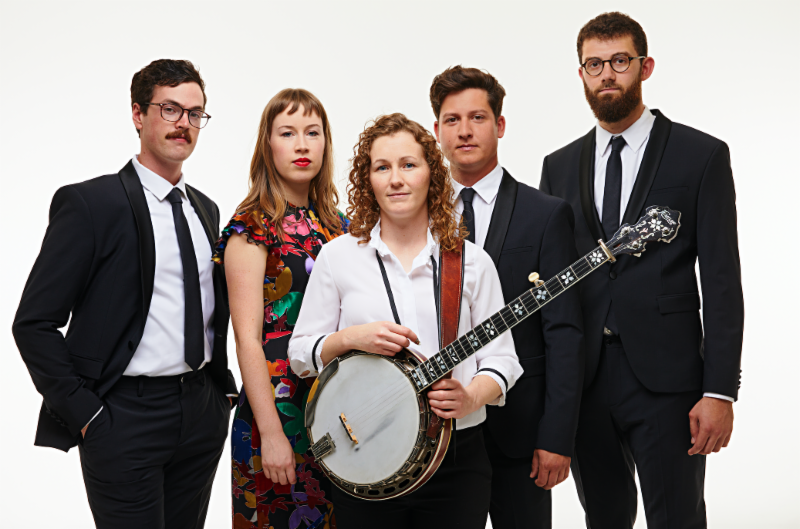 IBMA Award-Winning Mile Twelve Release New Album, City on a Hill – Barking Legs Theater • Chattanooga, Tenn.
For more information, please visit https://www.miletwelvebluegrass.com/ . To purchase the new album, please click here . Although their sound is rooted in traditional bluegrass, Mile Twelve surveys a broader landscape on their newest album, City on a Hill . All five band members bring their own influences and observations into the music, resulting in a project that feels contemporary, thoughtfully crafted, and relevant. Produced by Bryan Sutton and engineered by Ben Surratt, City on a Hill follows significant recognition from the bluegrass community, including three IBMA Momentum Awards. With members based in Boston and Nashville, the lineup includes David Benedict (mandolin), Catherine “BB” Bowness (banjo), Bronwyn Keith-Hynes (fiddle), Evan Murphy (acoustic guitar, lead vocals), and Nate Sabat (bass, lead vocals).